To determine your USB flash drive information you must Download the Final ChipEasy EN V1.5.6.6 software .Try it now , it's free software . ChipEasy Final EN V1.5.6.6 is a great simple USB flash drive information detector .ChipEasy Final EN V1.5.6.6 allows to get the USB device PID, VID, SN, manufacturer, product name, USB device controller chips and view USB flash memory device . Mainly used to Check the USB flash disk device controller chips, According to test results,select the corresponding usb disk production tool to create USB cdrom boot disk And repair usb flash dri .With using ChipEasy Final EN V1.5.6.6 , you will get your Chip controller information so you can easily determine the Chip Firmware . How to use ChipEasy Final EN V1.5.6.6 ? 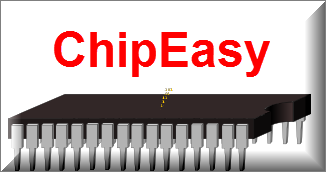 First you must Download ChipEasy Final EN V1.5.6.6 from the download links in the bottom of this article . Open ChipEasy Final EN V1.5.6.6 and look to the previous picture (Items with yellow background is the most important information ) . 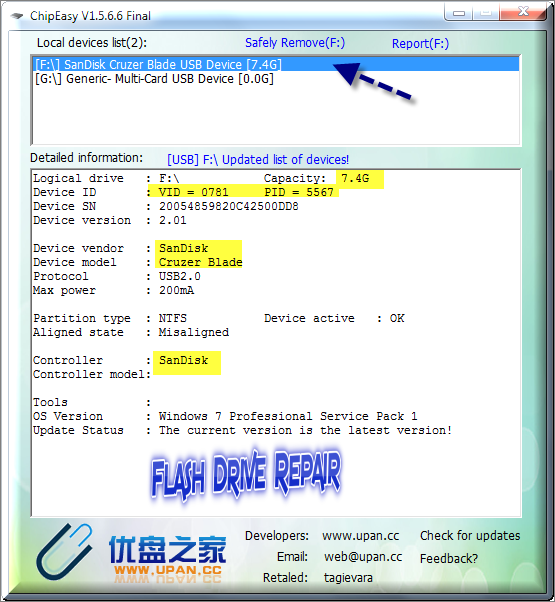 Search about your Flash Firmware according to ChipEasy Final EN V1.5.6.6 information , If you can't do this , pleas read this article " How to repair usb flash drive in three steps " . Don't forget to subscribe via mail to get the latest article and also Facebook Page . I will be glad if i see your precious comment on this article "Download the Final ChipEasy EN V1.5.6.6 software " .